Due to its agriculture industry and far-flung suburbs, California has long been at the mercy of the water gods, and lately they've not been very friendly. With the Governor calling a water emergency, dramatically reducing output to the state's farms and with Nevada's Lake Mead at its lowest level ever, new development in outlying areas will be just as dependent on energy prices as it will be on the availability of water. Future conflicts between countries are expected to hinge on water supplies, and I expect we'll see similar ones here in the West. While we can in theory turn to converting sea water to fresh water, that will be far more expensive and drive up the cost for a natural resource most people in the U.S. have always thought of as almost free. Gov. Arnold Schwarzenegger today proclaimed a state of emergency because California is in the third year of a drought. His declaration sets the stage for additional steps to conserve water. Although precipitation is about 75% of normal for the year, key reservoirs, including the one in Oroville, are down to 35% of capacity. * That all urban water users immediately increase their water conservation activities in an effort to reduce their individual water use by 20%. * That the Department of Water Resources expedite water transfers and related efforts by water users and suppliers. * That the department offer technical assistance to agricultural water suppliers and agricultural water users, including information on managing water supplies to minimize economic impacts and implementing efficient water management practices. Yet local governments that control water face unyielding pressure from constituents to keep the price low, regardless of cost. Agricultural interests, commercial developers and the housing industry clash over dwindling supplies. Companies, burdened by slowing profits, will be forced to move from dry areas such as the American Southwest, Udall says. Robert Glennon, a University of Arizona law professor, says governments must provide enough water for human survival. Beyond that, only freely functioning markets can allot it to people who need it most, he says. Fast-growing cities should buy from farmers who use water on marginal land, says Glennon, author of “Unquenchable” (Island Press, 2009). That would cut inefficiency caused by irrigating deserts, such as those around Las Vegas, to raise alfalfa or beef, he says. In 2005, after 19 years of negotiations, Los Angeles’s Metropolitan Water District signed a 35-year “dry year option” with the Palo Verde Irrigation District south of Las Vegas in California. Los Angeles pays 7,000 farmers to leave land fallow during droughts and ship their water to city residents. The city gives a one-time payment of $3,170 an acre (0.4 hectare) to farmers who sign up and then $630 per year for every acre not farmed..
Finding the water for casinos is one reason crews are working around the clock at Lake Mead. In 2002 alone, lack of rainfall lowered the deep-blue waters by 24.6 feet, leaving white bathtub-ring-like marks on the brown cliffs and stranding docks half a mile from shore. Today, the lake is 1,112 feet above sea level. Should it fall to 1,075 feet, the federal government would cut the water to seven states that depend on the Colorado River, according to an agreement they all signed in 2007. If that happens, the states would likely renegotiate a 1922 pact that divided up the river’s water rights in the first place, Mulroy says. Mexico’s allocation under a 1944 treaty could also change. The U.S. economy fell into a much deeper recession than forecast during the fourth quarter of 2008. Much of this pain was felt in California, with its unemployment rate jumping to 10.1%. Reporting from Washington -- The depths of the recession became much clearer this morning as the government announced that the economy shrank at a dramatic pace of 6.2% in the final three months of last year, the country's worst economic performance since 1982. The only major sector to show an increase in spending was the federal government. It's spending was up 6.7%, highlighting the key role U.S. officials are playing in trying to keep the economy afloat, Gault said. Reporting from Sacramento -- More than 1 in 10 California workers were unemployed in January, the largest percentage in nearly 26 years, the state reported today. I'm starting to feel a bit sorry for singles making over $200,000 and couples making over $250,000 per year, as it seems they're going to be paying the freight for a revamped health care system. Meanwhile, much of the country continues to waddle around, hitting up McDonald's drive-through windows and avoiding regular exercise, thus driving insurance costs up for everyone. This will probably turn out to be one of the biggest political fights of Obama's first year. Industry groups representing Realtors, home builders and mortgage lenders are up in arms over the Obama administration's proposal to roll back the itemized deduction rate for wealthy taxpayers -- including deductions homeowners can claim on mortgage-interest payments and other expenses associated with homeownership. The rollback of the tax break wouldn't take effect until 2011, and would apply only to families earning more than $250,000 and individuals making $200,000 or more -- less than 4 percent of taxpayers in 2006. The Obama administration, which floated the idea in releasing its proposed budget Thursday, says capping the itemized deduction rate for wealthy families and individuals at 28 percent would raise $318 billion over 10 years, expanding health insurance coverage while lowering health care costs. So far, Times staffers have laid out 87 communities within the city limits. Many of these include well-known smaller neighborhoods--such as Larchmont or Little Tokyo--which are listed under larger communities, at least for now. Let us know what you think. As you explore the neighborhoods, you can leave comments and even draw the boundaries as you see them. For several weeks, we plan to listen as we finalize what will become The Times' standard for L.A. neighborhoods and the basis for more interactive projects to come. What are really interesting to read are the comments from local residents on how they define their neighborhoods differently than the U.S. Census Bureau, from where these original maps were made. That's why the Times is inviting readers to use their mapping software to re-draw neighborhood boundaries. Prepare for higher taxes! Obama unveils budget blueprint. President Barack Obama delivered a $3.6 trillion budget blueprint to Congress Thursday that aims to "break from a troubled past," with expanded government activism, tax increases on affluent families and businesses, and spending cuts targeted at those he says profited from "an era of profound irresponsibility." The budget blueprint for fiscal year 2010 is one of the most ambitious policy prescriptions in decades, a reordering of the federal government to provide national health care, shift the energy economy away from oil and gas, and boost the federal commitment to education. Businesses would be hit, too. The budget envisions reaping $210 billion over the next decade by limiting the ability of U.S.-based multinational companies to shield overseas profits from taxation. Another $24 billion would come from hedge fund and private equity managers, whose income would be taxed at income tax rates, not capital gains rates. Oil and gas companies would be hit particularly hard, with the repeal of multiple tax credits and deductions. The federal government would take over most student lending. Managed care companies would lose their subsidies for offering Medicare plans. Farmers with operating incomes over $500,000 would see their farm subsidies phased out. And cotton storage would no longer be financed by the federal government. What? No more cotton storage? Now that's just over the line. Recession or depression? Inflation or deflation? A bend or a new trend? Confused about the differing opinions regarding the economy from various pundits and economists? We asked Chris Thornberg, a founding principal of MetroIntelligence partner Beacon Economics, for his thoughts on what's really going on with the U.S. economy, featured below but also to appear in the March issue of Builder & Developer magazine. For those of you who don't know him, Christopher Thornberg PhD, is an economist and a founding principal of Beacon Economics, an economic research and consulting firm. Chris and I have worked together since early 2008 on various real estate-related consulting projects, allowing us to provide a level of sophistication in modeling and forecasting which I believe was previously unavailable to the building industry. We don't just repurpose data from other sources, slap our brand on it and then send you an invoice -- we tell you what it really means. "What's really going on with the economy?" Over the last several months, it’s been very easy to get caught up in hysterical headlines regarding the economy, or witness the ensuing panic among the world’s greatest drama queens -- otherwise known as Wall Street traders. But as I drive in Southern California to various meetings or hop on a plane to give a speech, the world still seems to be operating much as it always has. So what’s really going on? When economic growth occurs, because it depends on the behavior and actions of human beings, it doesn’t do so smoothly: it arrives in trends and bends. Trends are based on long-run factors such as demographics, productivity, investments and public policy. Bends are based on short-run factors driven by imbalances, and a recession is simply a negative bend required to rebalance the economy to long-term trend lines. Yes, we are clearly in a recession, one which was fully underway as early as the first quarter of 2008 (or even the fourth quarter of 2007) despite the ongoing denials at that time by most economists and politicians. And yes, this recession is different than some others in the past because it was caused by imbalances in not just one or two factors, but three: housing, finance and consumer spending. When the housing pyramid finally collapsed in 2007, it did so because prices were seriously out of whack regarding household incomes and what a home might rent for on the open market. The building of this pyramid was fed by the ridiculous availability of easy credit to anyone who could fog a mirror, made possible by too much money sloshing around the world in search of an easy return. The titans of Wall Street, focused on short-term gains and enabled by ratings agencies to leverage borrowed money to ratios that were unsustainable, ignored the long-term ramifications of their financial alchemy simply because they could. But so did the average American consumer, who collectively bid up the total value of U.S. assets to $80 trillion dollars, yielding a national price-to-earnings ratios (asset values vs. earnings) that was 25% to 30% higher than its long-term average. Consequently, the true sin of Wall Street isn’t that they robbed Baby Boomers of their plans for early retirement, but that they actually made them think it was possible at all. It may not make you feel better, but that extra wealth, which could total $20 trillion, was really never there in the first place. So where do we go from here? To be certain, things are bad, but not as bad as pundits and politicians would have you believe. For one thing, the pullback in consumer spending is a good thing for an economic rebound because Americans need to re-learn how to save. So far they’re quick studies, with the savings rate already up to 4% -- about half of where it needs to be before it will again re-align with the appropriate amount of spending not financed by debt. Barring any more huge shocks to the economy, the general recovery – tepid as it will likely be – should occur around mid-2010. But between the peak and trough, we’re looking for an aggregate loss of 3.7% to U.S. GDP, so the pain will be real but essential to return the economy to long-term health. For the building industry, you’ll just have to be a bit more patient. Given how huge this last bubble inflated, it will take more time for the market to wring out its excesses, so the recovery for housing will probably be delayed until 2012. When housing does hit bottom, rather than experiencing a nice bounce like in the past, it will simply dribble on the ground until household finances and consumer sentiment catch up. Yet in the long run, lower prices are the best medicine for an industry that requires affordable housing in order to operate. For now, resist the urge to panic. There’s a reason why many people believe that the Chinese character for the word “crisis” translates as “danger plus opportunity," although others think it just means "crisis." Either way, patience and planning will eventually win out. Want to know more about Beacon? Click here. Want to know more about MetroIntelligence Real Estate Advisors? Click here. Feeling embittered that your tax dollars are going to be used to help people avoid foreclosure who made bad decisions? A 'dust-up' in the L.A. Times ponders the question. First, many borrowers who were responsible now find themselves in trouble because rapidly falling home prices in some areas have left them with mortgage balances that exceed their house value, because they have lost their job in the midst of a rapidly deteriorating employment market, or both. The idea of allowing people to refinance into new loans backed by Fannie Mae and Freddie Mac at the current low interest rates -- even if the borrowers now have little or no equity -- makes a lot of sense to me. Second, the costs of having even irresponsible borrowers default are large. Taxpayers should resent the idea that their hard-earned money is going to bail out those who took on loans they clearly couldn't afford. They should also resent taxpayer money going to banks whose egomaniacal CEOs take on excessive risk to drive up their annual bonuses to absurdly high levels even as they buy $1,000 garbage pails and walk away rich from the ruin they leave behind. But there is a large difference between the two situations from a public policy perspective. In short, if we are going to spend taxpayer money, I would suggest that we use it not to help people who spent beyond their means to keep homes they don't deserve, but to help those prudent families take advantage of falling prices by buying empty units. This prevents blight and rewards good behavior, not bad. And if we really wish to not harm those who may have made a bad choice, how about another basic change: If they allow themselves to be foreclosed on quickly and efficiently, let's not allow any black marks on their credit records. Then they can start fresh and perhaps go buy one of those foreclosed units themselves. In any case, policy debate aside, taxpayers have little to fear. Most folks out there that used subprime or Alt-A mortgages bought so far outside their means and are so far underwater that there is little that can be done for them within the limited means provided under Obama's bailout plan. They don't qualify for Freddie or Fannie refinancing, and there is simply no way their loans can be modified to keep them in their houses. As such, I expect that little taxpayer money will actually be spent on the worst of the borrowers. Could the states hit hardest by the housing downturn bounce back faster? In a twist of irony, the states hit hardest by the now-burst housing bubble could be among the earliest to recover from the devastating recession that resulted, outpacing the rest of the United States as soon as 2011. The good news is that in terms of home prices, California and Florida may be reaching the bottom in terms of home prices in the first quarter of this year, according to Tilley. (Other regional economists have less rosy projections, particularly for Florida.) He anticipates that Arizona will reach its low point in 2009’s second quarter, followed by Nevada in the third quarter. Unfortunately, the jobs situation—always a lagging indicator for the economy—won’t crater until later this year, at the earliest, according to Tilley’s analysis. 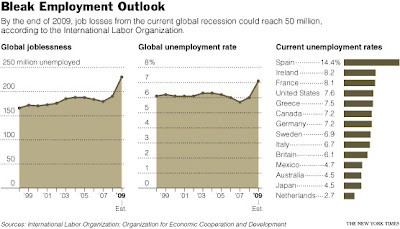 Nevada will be the first to slide to the bottom, with an unemployment rate of (ouch) 10.1% in 2009’s third quarter. Tilley expects the other three housing states—California, Arizona, and Florida—to reach the bottom as far as jobs in 2010’s first quarter, with “trough” unemployment rates of 10.5%, 8.8%, and 9.5% respectively. If you happened to miss President Obama's State of the Nation speech tonight to Congress, you can find it online at numerous places (including here at CNN). In the midst of civil war, we laid railroad tracks from one coast to another that spurred commerce and industry. From the turmoil of the Industrial Revolution came a system of public high schools that prepared our citizens for a new age. In the wake of war and depression, the GI Bill sent a generation to college and created the largest middle-class in history. This is lethal politics and strikes me as very much attuned to the mood of the public. And how great it is to have a president refer to American history with intelligence and acuity. Click here for the entire blog post. Click here for watch the speech on demand at CNN.com. Wondering where the housing market might rebound first and/or perform best in 2009? To compile these lists, we analyzed the top 75 housing markets in the country. We ranked them based on population trends and job growth, perennial drivers of housing demand. We also examined what’s happened with home prices; many of the healthiest markets have managed to hold the line on home values. And finally, we considered the rate building permits, which may be the single best ongoing indicator of builder confidence in a market. We combined all these metrics to produce a score for each market. While virtually every major metro market took a blow last year, the weakest markets were decimated by an unprecedented and lethal combination of job losses, falling home prices, and rising foreclosures. The fundamentals are so poor in many of these markets that they are likely to be among the last to recover from the national housing downturn. As you’ll find as you click through the list, the weakest markets for 2009 are comprised primarily of bust markets in Florida and California, along with a few rust-belt cities with longer-term economic difficulties. So how can builders compete 'when the land is free?' Well, according to the Calculated Risk blog, they can't -- at least not against REOs. And it's not like land values haven't already corrected. Since the peak of the market in 4Q 2005 through 1Q 2009, finished lots in L.A. County have fallen by well over 60%. In Riverside County they're down by 60% to 75%. In San Bernardino County, down by 55% to 70%. And in the Coachella Valley, they're down by 60% to 75%. Even with these price drops, there's still a disconnect between what buyers are willing to pay and what sellers -- mostly banks and some builders -- are willing to accept. Into this mix are venturing hedge funds and private equity groups. My concern is that since most of them don't know much about land development, they're tapping the same executives who bought so much of the over-priced land that has decimated the industry in the first place. Falling in love with resumes, some seem to be glossing over basic performance benchmarks (i.e., "How many of your prior land deals went BK or to foreclosure?"). Given that it's now the taxpayers picking up the bill for these mistakes, it's a fair question. While the declining market certainly has played a role, in many cases it was a simple lack of proper due diligence that was the problem. I'll be writing about the importance of the price of land -- and buyers and sellers agreeing on terms -- for my next column in Builder & Developer magazine. Mr. Roubini tells me that bank nationalization "is something the partisans would have regarded as anathema a few weeks ago. But when I and others put it in the context of the Swedish approach [of the 1990s] -- i.e. you take banks over, you clean them up, and you sell them in rapid order to the private sector -- it's clear that it's temporary. No one's in favor of a permanent government takeover of the financial system." "And I think, in the bubble years, no one asked the hard questions. A good journalist has to be one who, in good times, challenges the conventional wisdom. If you don't do that, you fail in one of your duties." Indeed, only needs to review the former covers of magazines such as Fortune, Forbes and Business Week to wonder why they didn't ask, "Exactly HOW are these people making this much money?" The housing slump and high petrol prices do seem to be taking their toll. In the year to April, gaming revenue across Vegas was down by 3.3% from the year before. A dip in occupancy, usually an impressive 90-95%, has prompted hotels to cut room rates, reversing a steady rise in recent years to more than $135 a night on average. Sub-$100 deals at prominent Strip hotels have proliferated in recent weeks. Though hotels are still coy about advertising these bargains, MGM Mirage, the biggest Strip operator, is reportedly nudging local newspapers to run stories about them. This has raised concerns over a possible price war. Nor can the city fall back on convention business, which has boomed in recent years. Some high-end casinos are doing even better this year than last, says Brian Gordon of Applied Analysis. This leaves some convinced that Vegas will once again defy the sceptics, just as it confounded those who argued that it would be hurt by competition from Californian gambling dens, or that the wave of mega-hotel openings in the 1990s would create crippling overcapacity. History suggests that, in America’s gambling capital at least, supply creates its own demand. Firms made an estimated $50 billion to $75 billion in mezzanine -- dubbed "mezz" -- loans, debt that fills the gap between the borrower's equity and the first mortgage. Billions of dollars already have been lost and the figure is likely to balloon as the steep downturn in the commercial-property market deepens. Most recently, borrowers have begun to default on mezz loans, forcing the mezz investors to try to foreclose. But this isn't easy even in cases in which the mezzanine holders believe their position is worth something. Often the mezz debt is broken up into slices with different degrees of risk and claims on the property. After slashing the much sought after $15,000 tax credit for all primary residence home buyers to $8,000 for first-time home buyers only, the government has now released a plan that analysts say will do little to bolster the ailing housing market. Said David Goldberg, analyst at UBS Investment Research: "Although non-distressed homeowners with LTVs in the specified range [80-105%] will benefit, we believe foreclosures among this group would have been minimal regardless." Some even ask whether moving forward with this phase of the plan could potentially draw more negative market action. UBS's Goldberg questioned the execution of the program, saying that while this loan modification plan has some degree of built-in incentives--more money goes to the lender if the borrower stays current and the loan is modified prior to delinquency--the complexity of the incentive structure will make it difficult to navigate. I'm in the middle of reading "The Great Housing Bubble" by Lawrence Roberts, who also runs the very popular Irvine Housing Blog. Like me, Roberts works in the building industry, and, despite a title that might imply it's looking backwards at the housing bubble, it is really more of a textbook primer on how to be a savvy real estate investor. I'll be reviewing it officially for publication soon, but for now I just wanted to cite it as an interesting -- and timely -- read on how markets behave and what investors can do to protect themselves. John Laing Homes, which was bought by Dubai-based Emaar Properties for $1.1 billion in 2006 and then poured another $600 million into the home builder, pulled its funding in 2008 as the U.S. market continued to deteriorate, making it only a matter of time before Laing was forced to file for bankruptcy. This marks one of the largest private builder bankruptcies so far in this downturn. On a side note, for my January column in Builder & Developer magazine, I discussed the ramifications of supposedly objective real estate consultants working during the boom years who deliberately bid up achievable prices by proposed new home communities in order to obtain more work from clients. I know of one division of John Laing Homes that was one of those clients, in which the consultants would claim that new housing in mostly built-out areas could command premiums of up to 50% over neighboring properties simply because they were new (whereas the rule of thumb is more like 20% to 25%). The handwriting was on the wall for John Laing Homes. Earlier this year, the Southern California-based builder stopped building and selling homes in several markets, laid off employees, and hired a business consultant experienced with Chapter 11 bankruptcies. WL Homes, which does business under the Laing name, is owned by Dubai-based Emaar Properties, which recently posted a loss for 2008’s fourth quarter due to its struggling U.S. businesses. The foreign parent, which has invested more than $600 million in the U.S. builder since its 2006 purchase, indicated in December that it would no longer fund Laing on an unsecured basis, leaving the builder in a precarious financial position. Southern California home sales climbed above year-ago levels for the seventh consecutive month in January as bargain-hungry buyers flocked to inland areas pounded by foreclosures and deep discounts. Increased affordability in some of those neighborhoods spurred record or near-record resale activity, while many pricier coastal towns again posted some of their slowest sales in two decades. Foreclosures continued to play a leading role in the market, accounting for nearly 60 percent of all homes that resold, according to San Diego-based MDA DataQuick, a real estate information service. Sales of newly built homes were the lowest for a January in at least 21 years - partially a reflection of how difficult it is for builders to compete with discounted foreclosures in the inland growth areas. The median price paid for all homes combined last month was $250,000, down 10.1 percent from $278,000 in December and down a record 39.8 percent from $415,000 in January 2008. Last month's median was the lowest since it was $242,000 in February 2002. January's median was 50.5 percent below the peak $505,000 median reached in spring and summer of 2007. The median sale price - the point where half of the homes sold for more and half for less - has eroded consistently for 19 months. Its steep decline stems not only from falling home values but from changes in the types of homes selling. Increasingly, sales over the past year have involved foreclosure properties, and a growing share has been in the lower-cost inland areas. At the same time, sales in pricier coastal towns have remained sluggish, in part because of problems associated with the cost and availability of financing for high-end real estate. So-called jumbo financing, formerly defined as mortgages over $417,000, represented about 40 percent of all purchase loans before the August 2007 credit crunch. 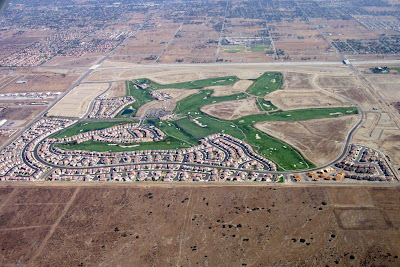 Last month just 9.2 percent of Southland purchase loans were for more than $417,000. Conversely, a popular form of financing for first-time buyers, government-insured FHA mortgages, rose to a record 40.4 percent of January home purchase loans. • Remove restrictions on Fannie Mae and Freddie Mac that prohibit the institutions, both taken over by the government last year, from refinancing mortgages they own or have guaranteed when more is owed on a home than it is worth. The White House says this could reduce monthly payments for up to 5 million homeowners. • Create incentives for lenders to modify subprime loans at risk of default or foreclosure. For lenders that agree to reduce rates to levels borrowers can afford, the government will make up part of the difference between the old monthly payment and the new payment. Participating lenders also will be required to cut payments to no more than 31 percent of a borrower's income. Up to 4 million homeowners could benefit. • Keep mortgage rates low for millions of middle-class families seeking new mortgages. Using money already approved by Congress for this purpose, the Treasury Department and the Federal Reserve will continue to buy Fannie and Freddie mortgage-backed securities to maintain stability and liquidity in the marketplace. The department, through its existing authority, will provide up to $200 billion in capital for this purpose. • Pursue reforms to help families avoid foreclosure. The administration will continue to support changing bankruptcy rules so judges can reduce mortgages on primary homes to their fair market value, as long as the borrower sticks to a court-ordered repayment plan. As part of the $787 billion stimulus package that Obama signed into law on Tuesday, the administration will award $2 billion in competitive grants to communities experimenting with innovative ways to prevent foreclosures. Last night, 60 Minutes covered the story of a mortgage salesman named Paul Bishop with World Savings, who discusses some of the standard practices of the day at a company which heavily promoted toxic Option ARM loans and other no-doc alternatives. The damage so far? $37 billion and counting. Three years before the housing market crash, Paul Bishop says he warned his superiors at World Savings - the nation's second largest savings and loan company - that many of the mortgages they were granting were misleading and predatory. So why didn't he or anyone else step up in a public way? Because, at least in my own experience, when people have mortgages and car loans to pay and kids to feed, looking the other way becomes the most practical (and cowardly) way to keep a job. As someone who regularly speaks his mind, I can personally attest to the perils of losing clients who simply went elsewhere to find someone willing to play ball (and you can thank numerous bankruptcies of development deals for that short-sightedness). So is this country ready to start listening to people willing to ignore petty politics in search of the truth? That certainly remains to be seen. Perhaps seeing some former executives of those companies engaging in fraud (i.e., mortgage companies, Wall Street companies, ratings agencies and certain consultants) doing the perp walk for a nice long prison sentence would get the ball rolling in that direction? Just last week, the new United States director of national intelligence, Dennis C. Blair, told Congress that instability caused by the global economic crisis had become the biggest security threat facing the United States, outpacing terrorism. “Nearly everybody has been caught by surprise at the speed in which unemployment is increasing, and are groping for a response,” said Nicolas Véron, a fellow at Bruegel, a research center in Brussels that focuses on Europe’s role in the global economy. In emerging economies like those in Eastern Europe, there are fears that growing joblessness might encourage a move away from free-market, pro-Western policies, while in developed countries unemployment could bolster efforts to protect local industries at the expense of global trade. Are Fannie and Freddie deliberately sending borrowers to FHA? Applicants who seek to buy a condominium and cannot come up with a 25% down payment will be hit with a three-quarter point add-on penalty, no matter how high their credit score, simply because they are not buying a traditional detached, stand-alone home. Where's all this headed? Absent congressional intervention or new marching orders from the companies' regulator, the add-on fees are here to stay. But there's an alternative readily available for just about anyone who wants to avoid the fees: FHA mortgages, where down payments go as low as 3.5% and credit scores are not an issue for most applicants. Beacon Economics, a partner to MetroIntelligence Real Estate Advisors, has announced the first of several Economic Forecast conferences to take place in San Diego on April 14th. MetroIntelligence will be researching and writing the real estate-related sections of the forecast books which all attendees receive. Want to register or find out more? Click here. Is President Obama up to solving the economic crisis? Over all, the effect was to kick the can down the road. And that’s not good enough. So far the Obama administration’s response to the economic crisis is all too reminiscent of Japan in the 1990s: a fiscal expansion large enough to avert the worst, but not enough to kick-start recovery; support for the banking system, but a reluctance to force banks to face up to their losses. It’s early days yet, but we’re falling behind the curve. Dr. Richard Florida, author of such books as "The Rise of the Creative Class" in 2002 and "Who's Your City?" in 2008, has written a very interesting article in the Atlantic Monthly positing that the current economic crash is different from most others which came before it because it has the capacity to re-shape the geographic demographics and land use patterns of the U.S. Like the Great Depression of the 1930s, he thinks it will usher in a different way of living, spending and investing. ...the recession, particularly if it turns out to be as long and deep as many now fear, will accelerate the rise and fall of specific places within the U.S.—and reverse the fortunes of other cities and regions. The foreclosure crisis creates a real opportunity here. Instead of resisting foreclosures, the government should seek to facilitate them in ways that can minimize pain and disruption. Banks that take back homes, for instance, could be required to offer to rent each home to the previous homeowner, at market rates—which are typically lower than mortgage payments—for some number of years. (At the end of that period, the former homeowner could be given the option to repurchase the home at the prevailing market price.) A bigger, healthier rental market, with more choices, would make renting a more attractive option for many people; it would also make the economy as a whole more flexible and responsive. To be certain, these themes echo what Florida has already discussed in his previous books. Whether or not these theories will come to pass, of course, remains to be seen.